Holidays are supposed to be filled with family, friends, and fun. But let’s be honest–they are also usually stressful and hectic. If you’re the host, it seems like there’s so much to do around the house to get ready. If you’re the guest, it seems like there’s a never-ending to-do/packing list. 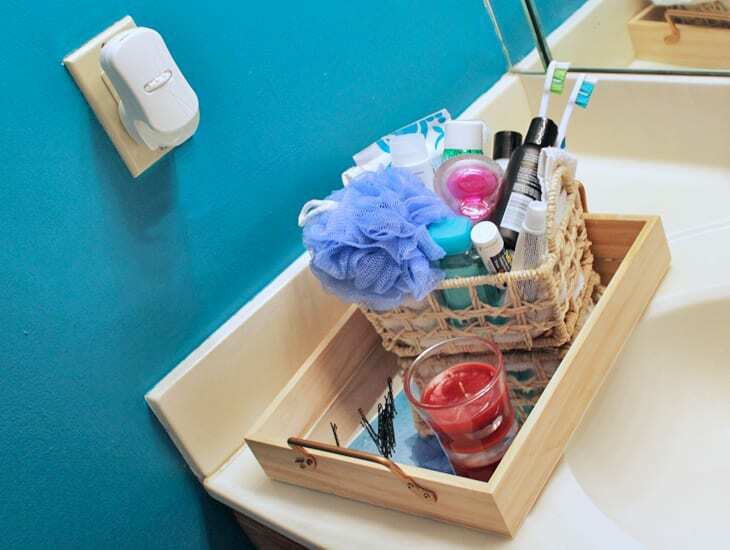 To cut down on the stress, I’m sharing my tips for how to prepare your bathroom for guests, especially if they’ve forgotten toiletries they need. 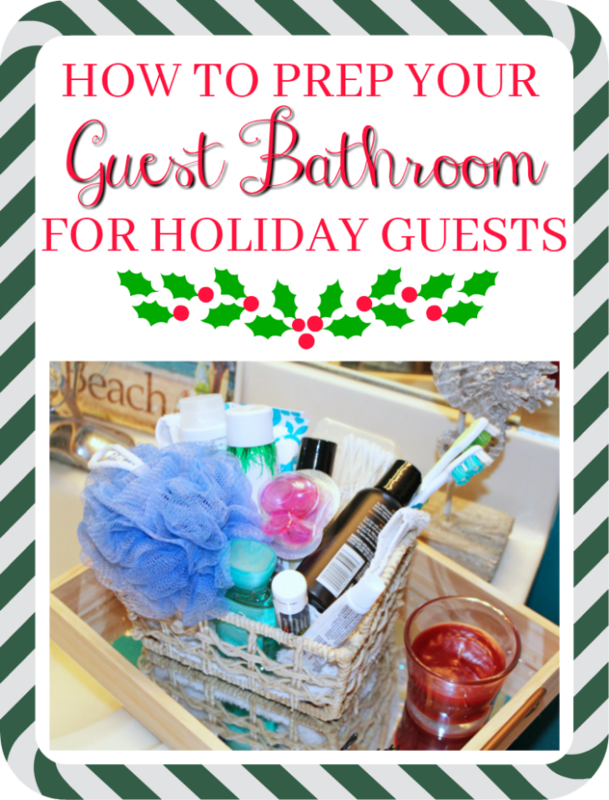 That way everyone can have a joyful, less stressful gathering for the holidays! Begin by giving your shower a good scrub with Scrubbing Bubbles® 20oz Fresh Clean Scent Bathroom Cleaner. I like to make sure there’s no soap scum or other grim in the shower because that’s gross. 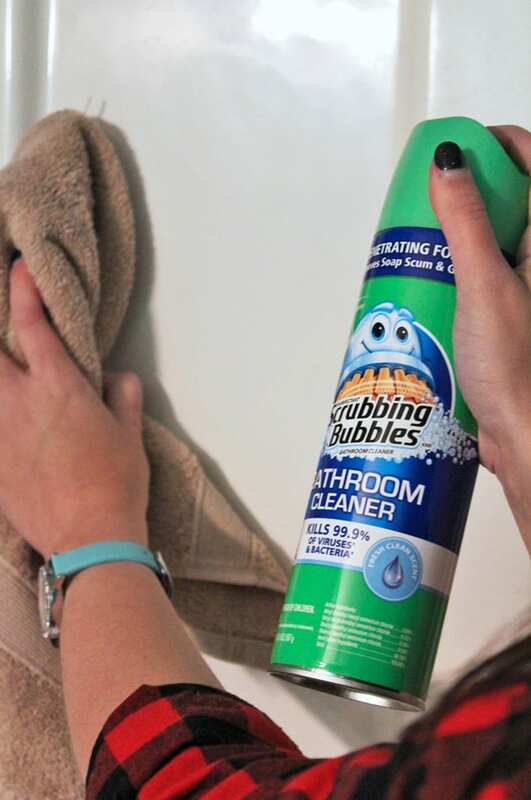 It’s a great cleaner to ensure guests don’t spot a messy shower! Next, move on to your vanity area. 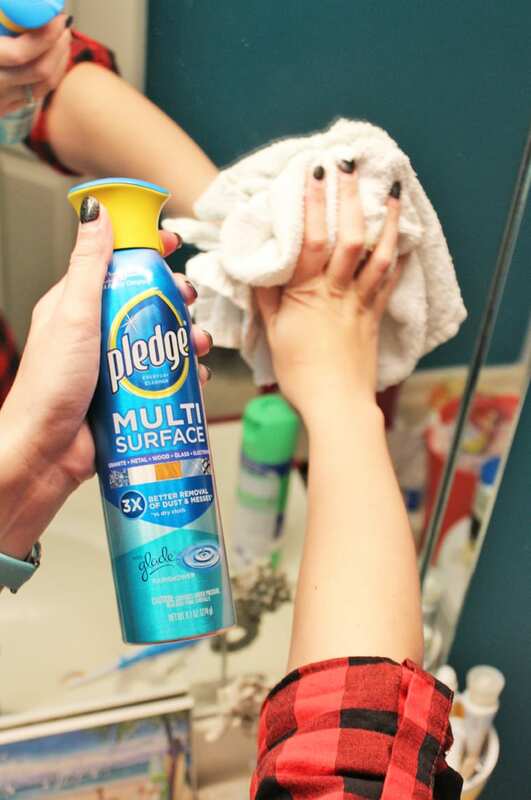 For this area, I like to use Pledge® 9.7oz Multisurface cleaner (rainforest scent) for the mirror, sink, and faucet. It’s so easy to use! 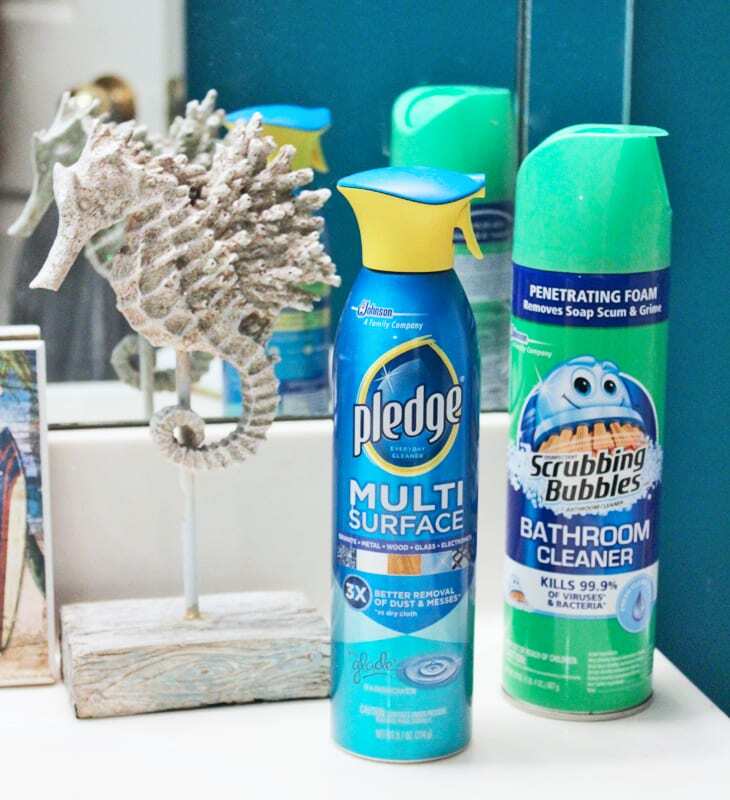 I can just spray down all three surfaces and go–no need to try to take the time to switch cleaners. It shines everything up for my guests and makes the vanity area look so tidy. To help your bathroom seem cozy and inviting, have some fall scents on hand. I like to use one of the Glade® Apple Cinnamon Plugin Scented Oils 2 pack and set out a Glade® Apple Cinnamon 3.4oz Candle as well. The hints of apple and cinnamon helps evoke feelings of home and comfort, which is how I want my guests to feel. Finally, there’s nothing worse than traveling for an overnight stay only to realize you’ve forgotten something–your toothbrush, bobby pins, or ibuprofen. 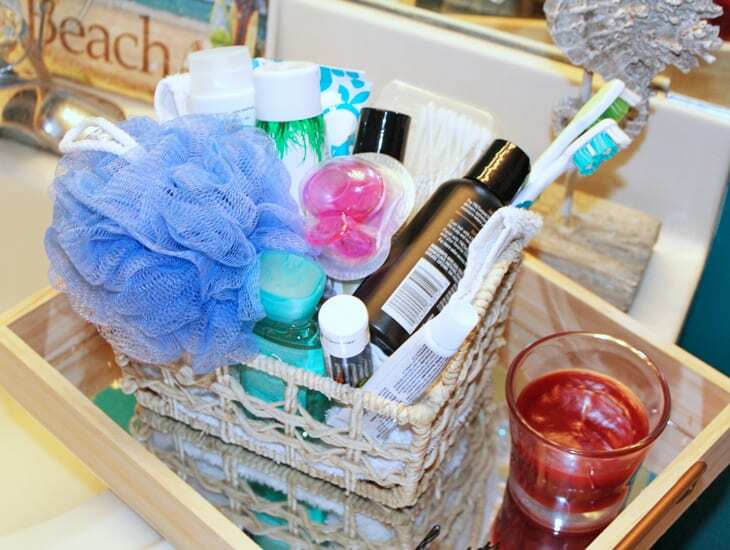 So I like to set out a basket of goodies for my guest to use in case they’ve left something at home. I set out travel size items. 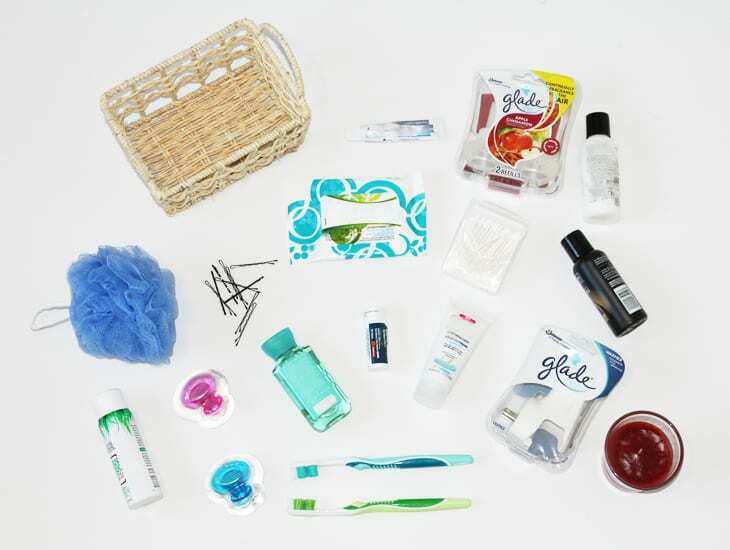 A lot of these actually came in subscription boxes, so you can make use of travel/trial size items that are laying around the house. 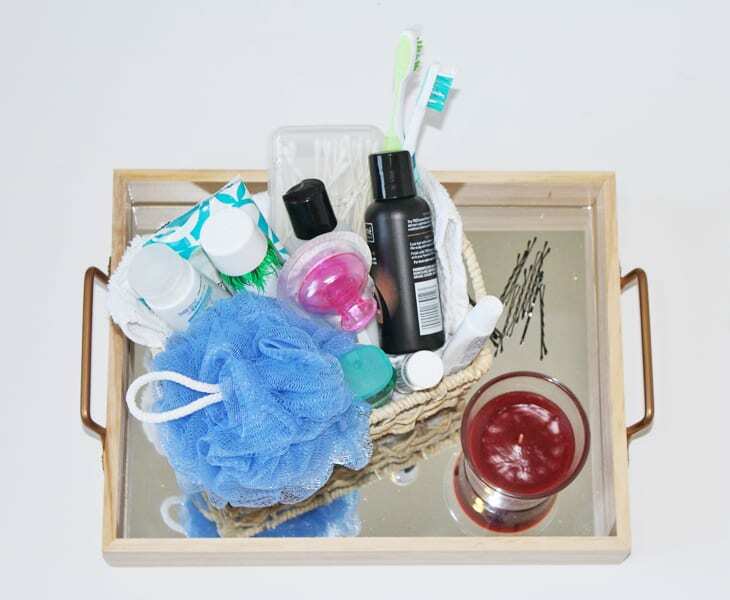 Some additional things you could add are a contact case and travel-sized contact solution, bandaids, and/or lip balm. 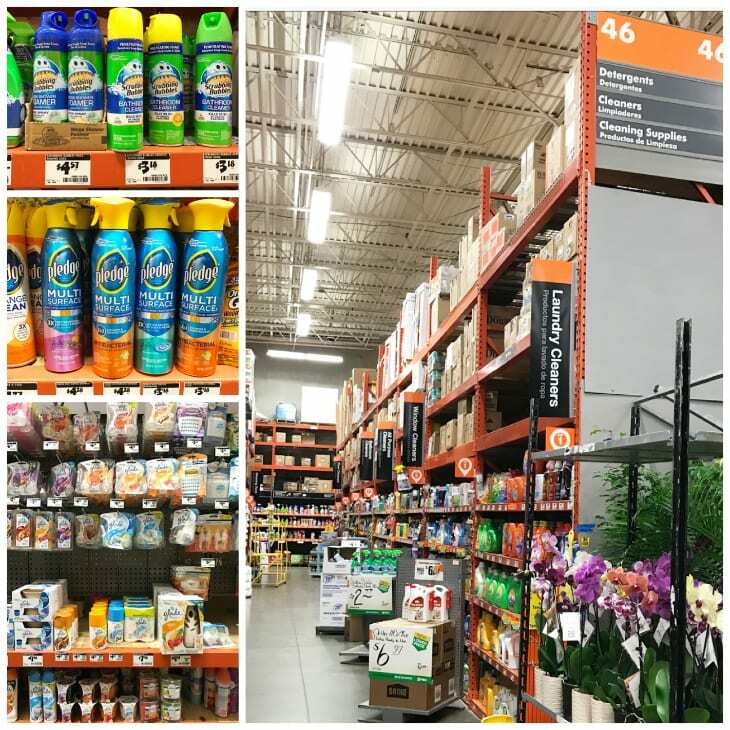 Want to make your home more inviting for all of your family and friend gatherings over the holidays?You can find the cleaning supplies and smell-good Glade products I used at Home Depot! For more Thanksgathering home prep ideas for the holidays, click here. You can sign up for discounts and savings on S. C. Johnson products for your holiday get-togethers here, as well as get recipes and tips.